Sinazo Brown matriculated in 2015 from King Edward High School. She is currently studying for a Bachelor of Business Science majoring in Finance and Accounting at UCT. 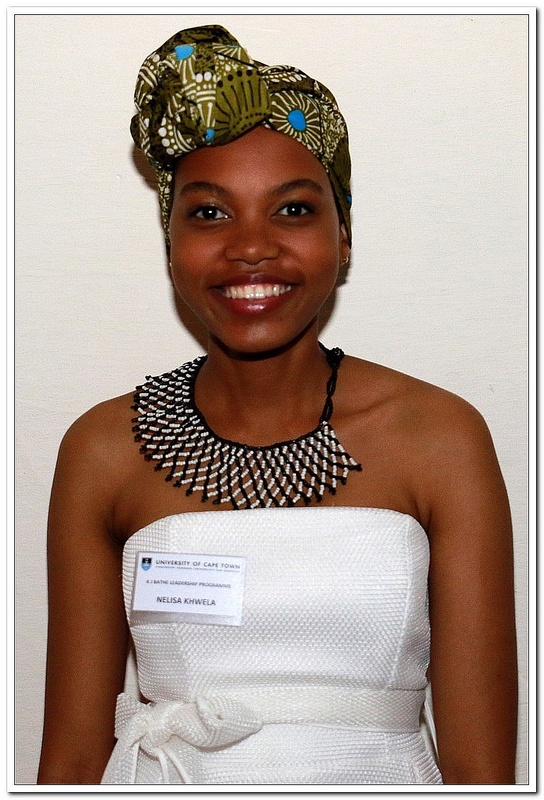 She is currently a Sub-Warden for her residence as well as a Project Manager for the UCT Consulting Club. She is passionate about empowering young girls as well as creating inclusivity for individuals living with disabilities in the South African education system. She is the founder of a mentorship programme in her village which seeks to educate high school students about the importance of tertiary education. Her long-term goal is to be in a position where she can be able to influence public policy for the betterment of lives of individuals living with disability as well as young women from economically disadvantaged backgrounds. Jean-Luc Ciapparelli matriculated from SACS High School as its top student in 2016. He is currently studying towards a Bachelor of Social Science majoring in Philosophy, Mathematics, and Economics. He is a member of the UCT Debating Society, the UCT Math Society, and Ubunye UCT, where he volunteers. 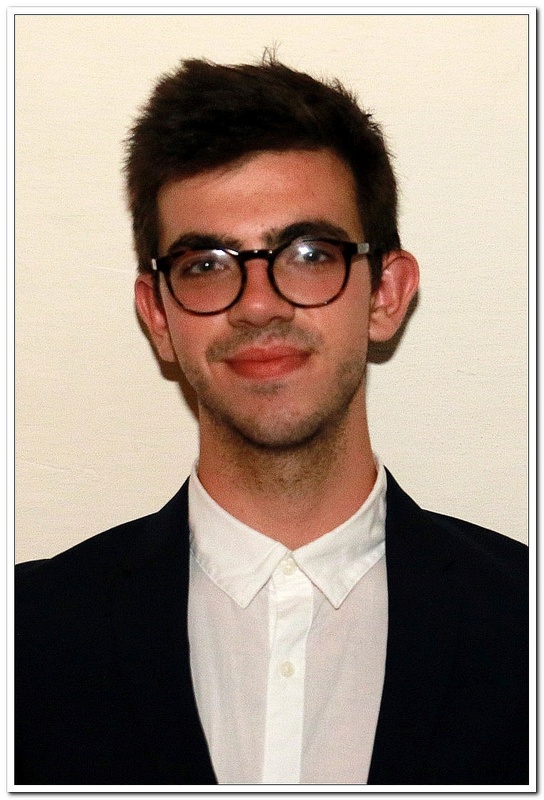 Jean-Luc also acts as the Event Manager for Effective Altruism UCT, a society which aims to use evidence and reason to benefit others the most. Using this position, he plans to share important ideas regarding charitable giving and help fellow students pursue high-impact careers. He takes great pleasure in reading, exercising and music. In the long term, Jean-Luc hopes to help address widespread, large-scale problems such as unemployment and poverty. Na’eem Davis matriculated in 2014 from Al-Asr Educational Institute in Tshwane, Gauteng where he served as Head Boy. He is currently completing his BBusSc Actuarial Science degree. He has been a School of Economics tutor since 2015 and has tutored and mentored both students in EDU Commerce and Kopano Residence where he served as Commerce Faculty Head Tutor and Senior Mentor. He is passionate about social entrepreneurship, having already co-founded a start-up, and is determined to find new and innovative ways of applying mathematics and statistics to solve real-world problems. Oriana Esau matriculated in 2013 from Rustenburg Girls’ High School in Cape Town. She is currently studying towards her graduate Bachelor of Laws, having completed her Bachelors of Social Sciences in International Relations and Economic History. 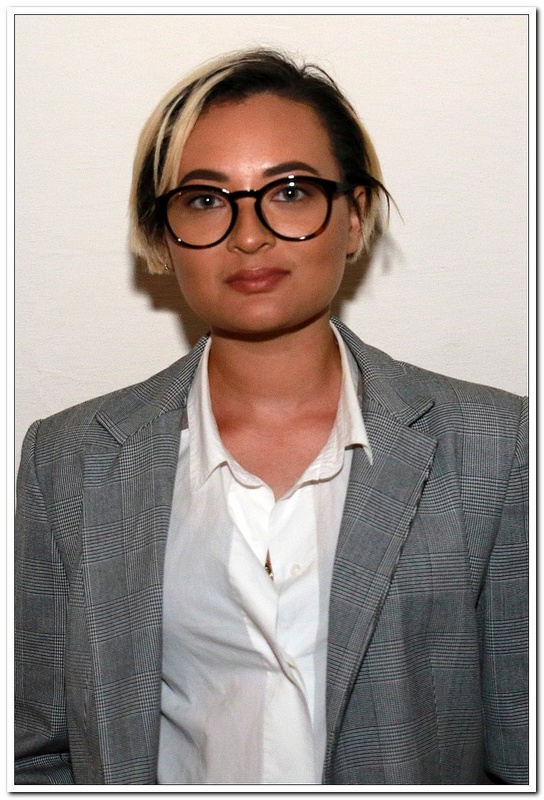 Oriana is passionate about issues relating to development and gender inequality and the use of grassroots education initiatives to address these societal matters. To this end, she has previously fulfilled the role of Director of Inkanyezi, a non-profit organisation which mentors learners in underprivileged communities around Cape Town, and served as the Chairperson of Ubunye, a non-profit organisation and Developmental Agency at the University of Cape Town which focuses on community development through active citizenship. Her efforts in the sphere of social activism saw her being invited to attend the Global Engagement Summit at Northwestern University, Chicago in 2017. 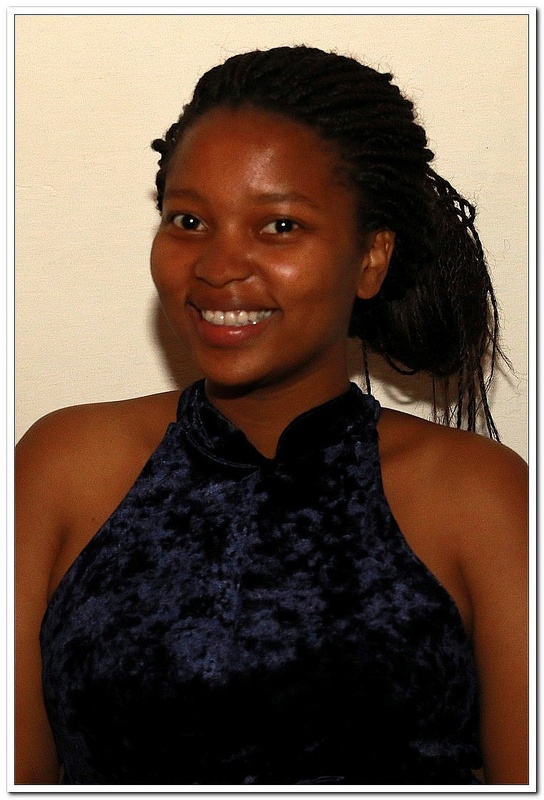 Nondumiso Goba matriculated from St Mary’s DSG, Kloof in 2015 where she held various leadership positions, one being Head of Boarding. She played an active role in youth development and was a member of the Durban Youth Council, an organisation that aims to empower the youth and create opportunities for young people living in and around Durban. At UCT she is currently studying towards a bachelor of Laws degree. She will serve as a 2018 Orientation Leader for her faculty and has actively participated in residence life and its leadership structures while also representing Tugwell hall as a football player for the internal women’s league. She intends to use her legal education to empower Black women in South Africa, as one of society’s most vulnerable groups, by actively promoting women’s rights and enforcing their protection. Nelisa Khwela matriculated in 2014 from Port Shepstone High School in Kwa-Zulu Natal. She is currently studying towards a BA degree in Environmental and Geographical Sciences, Business French and Spanish. 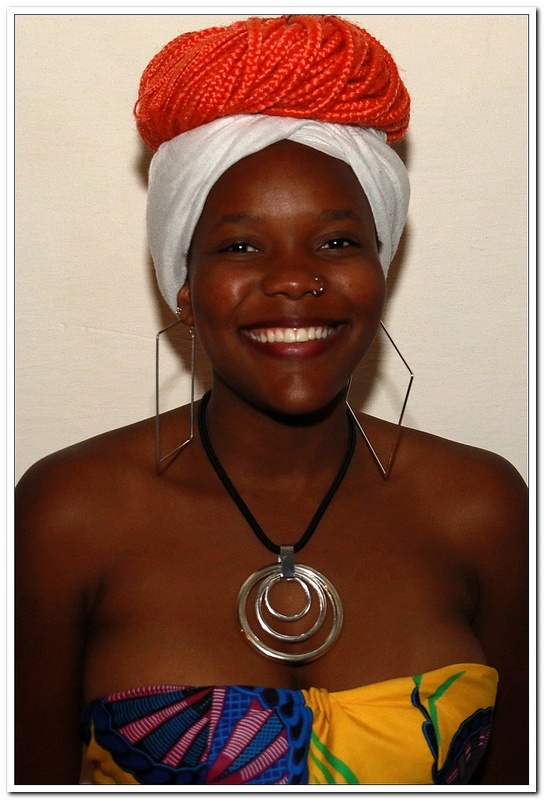 At UCT, Nelisa currently serves as the secretary of the UCT Space and Astronomy Society, has been selected as a Humanities Faculty mentor, writes for VARSITY Newspaper and is a member of the UCT Consulting Club. Outside of her studies, she is a writer, calligrapher and poet. She has the long-term vision of integrating knowledge in science and humanities to create African-centred solutions to environmental and humanitarian crises in Africa. She also aspires to play a role in reforming the education system to one that is inclusive and empowers learners to succeed at university and in the workplace. 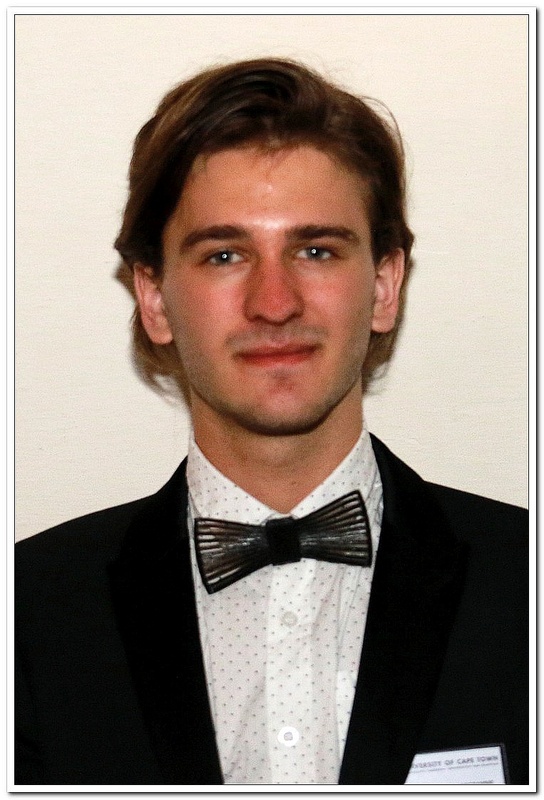 Denislav Marinov matriculated from St Stithians Boys’ College in 2016. His boundless curiosity and fascination with the universe led him to a Bachelor of Science in Physics and Chemistry. Apart from his university studies, he is actively involved in programming, electronics and design. 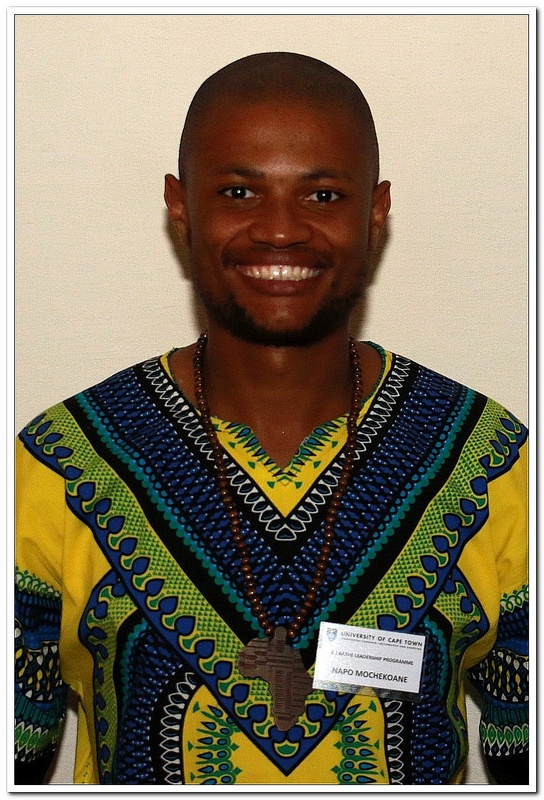 He is an Allan Gray Candidate Fellow and serves as a member of the Taekwon-Do committee. Denislav believes that the fundamental approach to transforming South Africa is the democratization of quality education. As part of this initiative he strives to cultivate a love for the sciences and technology through his 3D printing and prototyping service. He aims to utilise technology to address global socio-economic issues, particularly focusing on education, housing and sustainability. 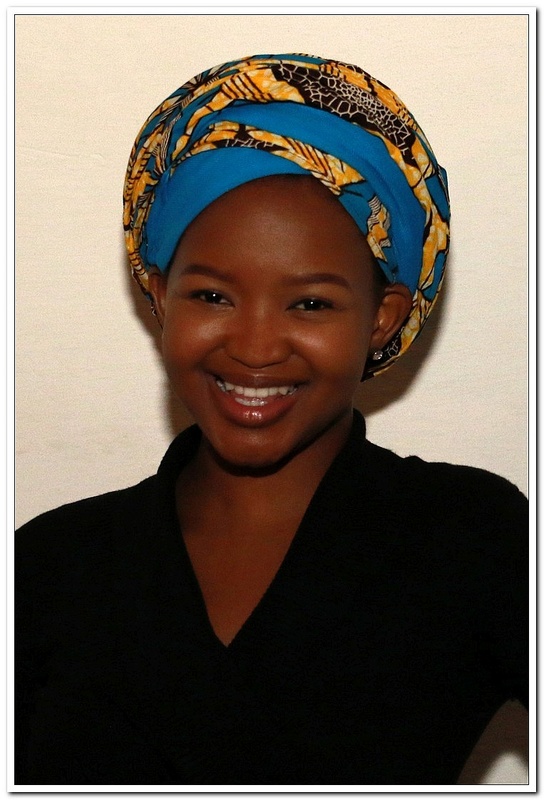 Woxy Mathebula matriculated from Sutherland High School, Pretoria in 2015. Currently studying a BBusSci specialising in Finance and Accounting. A strong believer in servant leadership, she has been involved with outreach projects since her early high school days. She has served as a floor mentor at her residence as well as a class representative, currently she is serving as a Sub-warden and the residence liaison in the Residence Forum, for her residence. She believes in access and opportunity to quality education to be the key for one to succeed. Her long-term goal is to start a nationwide after school programme designed to provide all students with access to further education and the resources to achieve this. She enjoys reading, netball and dancing. Napo Mochekoane is currently studying for a BSc. Eng. in Civil Engineering at UCT. He is actively involved in student affairs and has been serving as a class representative as well as in his residence committee since 2015. He currently holds the Outreach and Publications portfolio of the 2018 EBE student council. He is the pioneer of the #knowyourneighbour campaign which helps in combating mental issues at UCT. Napo is passionate about leadership in Africa and believes that everything rises and falls on leadership. In the long run he envisions the youth of Africa actively taking part in the political affairs of the continent, coming together to discuss how to address issues of Africa. Zahraa Mohamed matriculated in 2011 from Westerford High School in Cape Town. She is currently in her fifth year studying towards a Bachelor of Medicine and Bachelor of Surgery (MBChB). She is the founder and head of the UCT Standing Committee on Sexual and Reproductive Health Including HIV/AIDS and is former head of the UCT South African Medical Students’ Association. She has stood on many committees on campus including the Palestine Solidarity Forum, the SHAWCO Women’s Health Committee and is a founding member of the UCT Muslim Youth Movement. 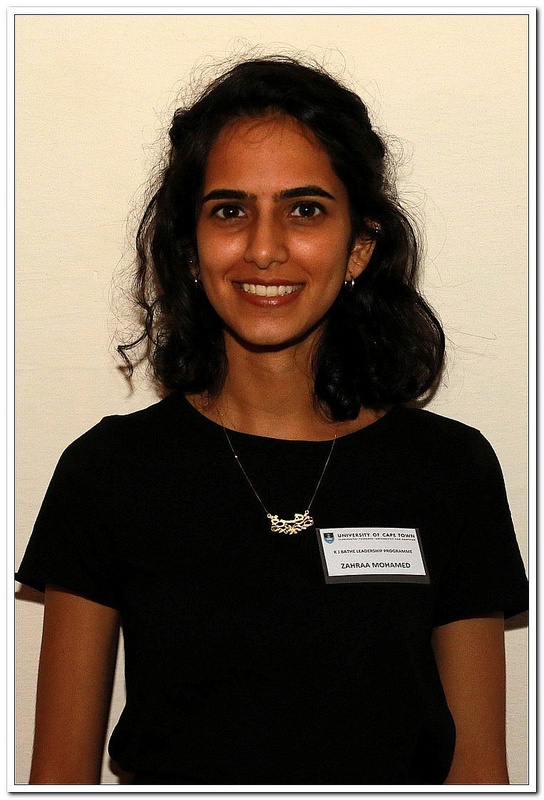 Zahraa is passionate about clinical medicine and public health, recognising the importance of broader, intersectoral efforts in promoting wellbeing. She has a special interest in sexual and reproductive health. 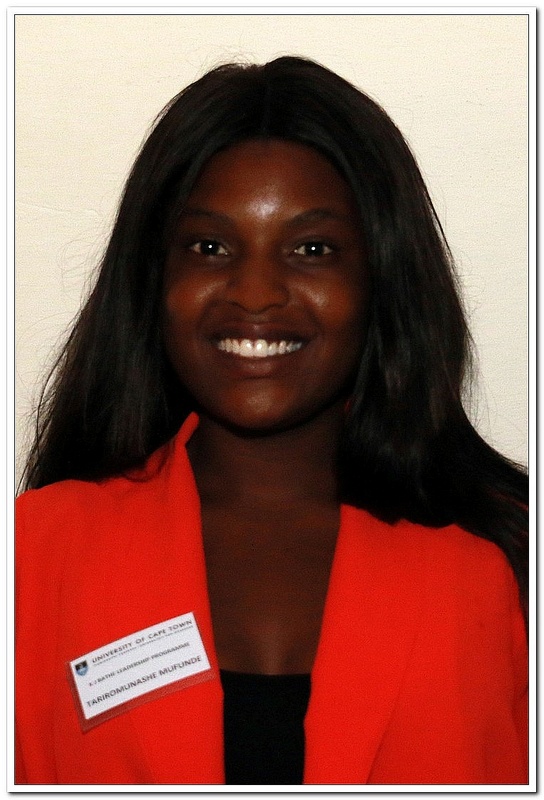 Tariromunashe Mufunde completed her As-level at Arundel School, Harare in 2013 and her A-levels Home Schooling. In 2014. She is currently studying towards a BSc Civil Engineering degree. She joined the ASPECT Programme mid first semester in her first year. She is part of the SAICE UCT Chapter committee, an active member of the Seventh-day Adventist Society at UCT as part of the Executive Committee. She was a mentor for the Engineering and the Built Environment faculty and SDASM Society in 2017. She is part of the Golden Key Society and has been on the Dean’s merit list since first year (2015). Her longterm goal is to help youth in Zimbabwe and within Africa at large in terms of career guidance and empowering youths of today by instilling self confidence and also breaking the mentality of female degrees and male degrees. Naledi Ramoabi was born in Johannesburg and raised in Lesotho. She graduated from Sant Bani School in New Hampshire, USA in 2013. At UCT, she is currently studying a Bachelor of Laws. 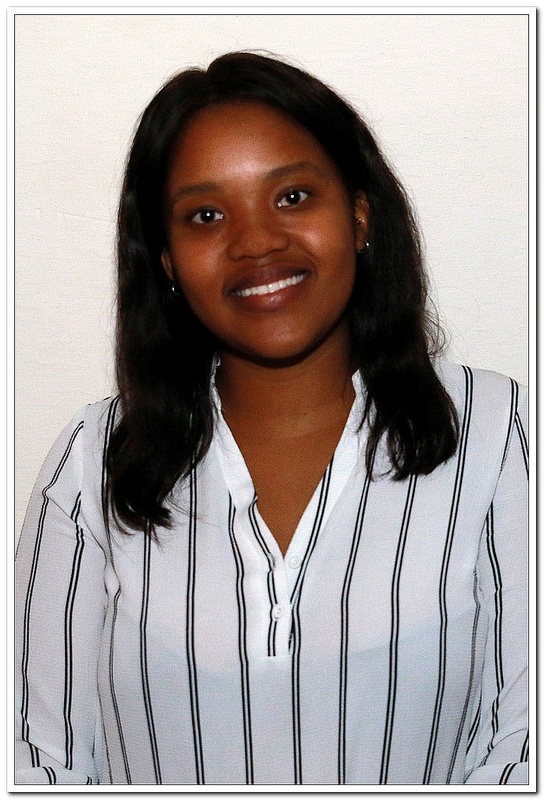 Naledi has served as Transformation Officer in the Law Students’ Council and is currently the Chair of the newly established Student Governance Court. She hopes to contribute to the reproductive health and gender policy of not only in South Africa, but to make an impact on the African continent at large. 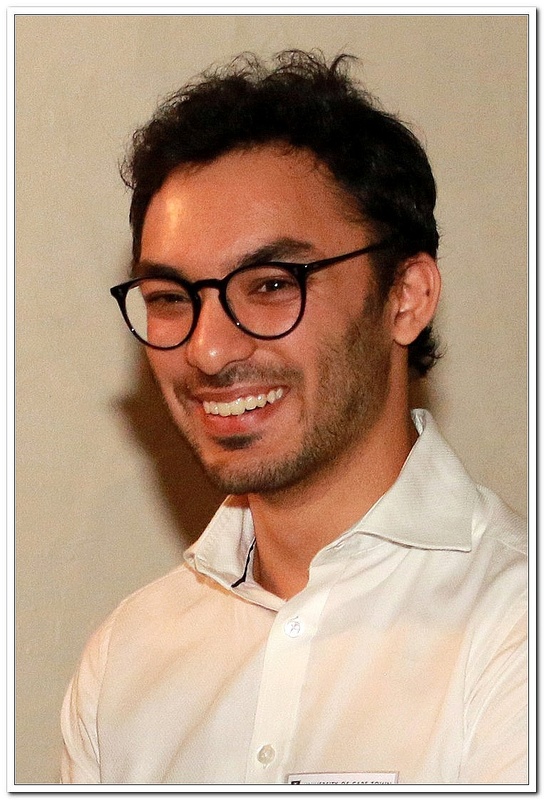 Muhammed Razzak is currently studying for a Bachelor of Science in Mechatronics Engineering. He’s passionate about applying engineering knowledge to healthcare, education and sustainability. 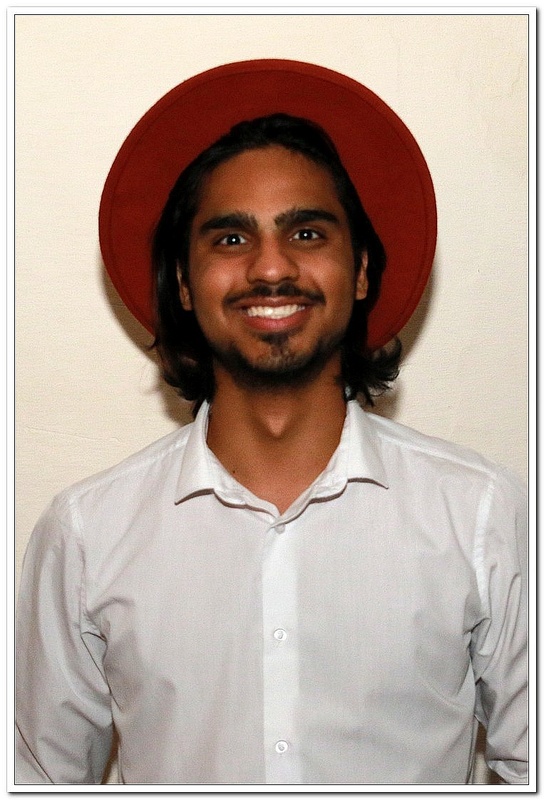 Most recently, he’s been interested in computer vision and it’s applications to the above fields.Muhammed has been associated with Engineers without Borders since 2015, and has served for 2 years on committee for the UCT Chapter, as well as the National Student Chairperson for Engineers without Borders South Africa. He also believes that entrepreneurship is one of the keys to developing Africa and has helped foster a culture of entrepreneurship at UCT, through UCT’s Entrepreneurs Society. For recreation, you’ll find him playing tennis, squash or reading fantasy and science-fiction books. He recently became an avid speedcuber. 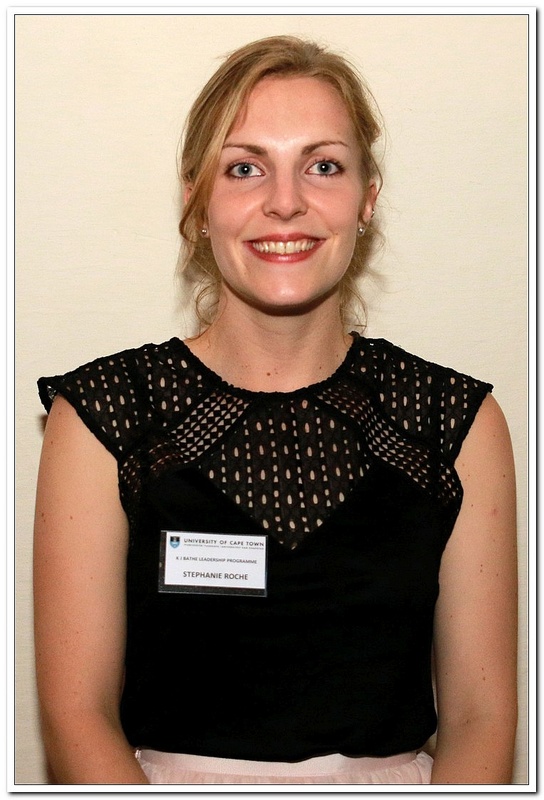 Stephanie Roche matriculated from Springfield Convent Senior School in Cape Town, where she served as Head Girl in 2012. She is in her fifth year, studying towards a Bachelor of Medicine and Surgery. She is the project leader of SHAWCO’s new women’s health clinic, serving refugees and asylum seekers from a number of African countries. Stephanie is also a member of the Standing Committee on Sexual and Reproductive Health including HIV/AIDS. Her passion lies in working towards improving health literacy and accessibility, particularly in the fields of maternal and child health.